FLAGSTAFF, AZ – April 27, 2017 – Machine Solutions Inc. (“Machine Solutions”) expands its offering in the sealing space through its acquisition of SEBRA from Haemonetics Corporation. SEBRA is a leading manufacturer of tube sealing equipment for blood and plasma centers worldwide, with annual revenue of approximately $6 million. The SEBRA portfolio will be combined with the Vante product line in the Machine Solutions’ facility in Tucson, Arizona. The two teams will work together to serve the existing customer base, develop new industry-leading technology and expand our range of services within the sealing market. The SEBRA product line complements Vante’s existing sealing technology for the pharmaceutical industry. SEBRA’s long history of providing quality equipment and support to blood and plasma centers will enable the combined Machine Solutions to broaden the support and products it provides to its global customer base. “We are very excited to bring the SEBRA product line back to Vante, it is a great fit with Machine Solutions’ overall strategic direction and our vision of offering our customers a broader set of options to meet their sealing needs. Vante not only has the knowledge and ability to support the current products but is also positioned to advance the technology,” stated Brian Strini, President of Machine Solutions Inc. This transaction marks the fourth add-on acquisition to the Machine Solutions platform since Machine Solutions partnered with St. Louis, MO-based private investment firm, Forsyth Capital Investors in 2011. The add-on acquisition activity is in addition to numerous organic growth initiatives underway at Machine Solutions, the combination of both the organic, and acquisition, growth highlight Forsyth Capital Investors’ commitment to building the global leader of innovative equipment and services to the healthcare industry. 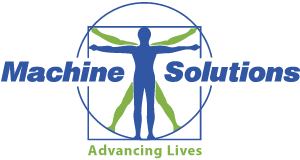 Machine Solutions Inc. is the premier provider of advanced equipment and services to the medical device and overall healthcare industry. The unified brands of MSI, SteegerUSA, Vante and PlasticWeld provide a breadth of products to support customer needs and growth. Machine Solutions provides superior customer experiences by focusing on delivering quality and value, and by dedicating resources to its aftermarket team for technical service and process support. Machine Solutions has been instrumental in automating manual processes in catheter and stent manufacturing operations and the broader medical device industry. For more information, visit www.machinesolutions.com. The SEBRA portfolio includes a suite of products used in blood collection and processing which can improve quality and regulatory compliance of blood products. Principal products include: Radio-Frequency (RF) Tube sealers that are used to seal and segment parts of the consumables used in blood collection, while maintaining a sterile environment for the collected blood. Sterility is critical in ensuring the highest quality blood component for transfusion. These benchtop and hand held sealers are used for blood collection and processing at blood banks, commercial plasma centers, stem cell processing facilities, and hospitals. SEBRA hand held sealers feature patented SMART™ circuitry that automatically adjusts for different sized tubing, and is certified for donor-connected use. more about Haemonetics, visit our web site at http://www.haemonetics.com. Forsyth Capital Investors is a St. Louis-based investment firm focused on making long-term investments in middle-market companies operating in the capital equipment and component manufacturing and insurance services sectors. Forsyth Capital’s investment approach offers a balanced blend of private equity fundamentals and significant operational expertise made possible by its strategic relationship with Barry-Wehmiller Group, Inc., a diversified capital equipment manufacturer. Because of its unique relationship with an active operating company, Forsyth Capital Investors offers many of the value-added resources of a strategic partner, while maintaining the entrepreneurial spirit and autonomy of the portfolio company’s leadership team. For more information, visit www.forsythcapital.com.